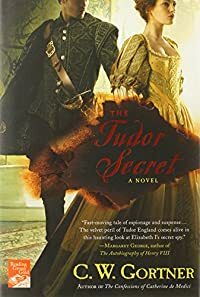 The Tudor Secret by C. W. Gortner: Synopsis and Online Purchase Options. Synopsis (from the publisher): Summer 1553: A time of danger and deceit. Brendan Prescott, an orphan, is reared in the household of the powerful Dudley family. Brought to court, Prescott finds himself sent on an illicit mission to the king's brilliant but enigmatic sister, Princess Elizabeth. But Brendan is soon compelled to work as a double agent by Elizabeth's protector, William Cecil, who promises in exchange to help him unravel the secret of his own mysterious past.